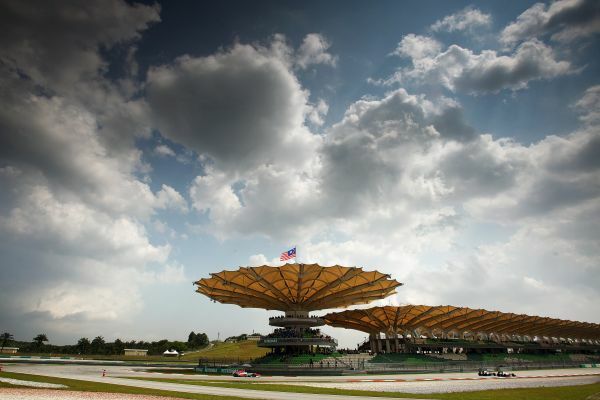 A permanent fixture of the Formula One calendar since 1999, the Malaysian Grand Prix is regarded to be especially challenging for drivers, as the country’s hot and humid conditions often exacerbate the toughness of this high-speed contest of skills. The Sepang track is located 85 kms to the north-east of Kuala Lumpur and is easily accessed from the KL city center via a 45 minute drive. Recent winners of the event have included Sebastian Vettel who won the 2010 and 2011 races and Fernando Alonso who triumphed in 2012. Malaysia’s somewhat unpredictable tropical climate often played spoiled sport at the country’s biggest sporting shebang in the past. In 2001, a rain storm during lap 3 almost washed out the race while in 2009; torrential conditions once again threatened the race which was then ultimately won by British driver Jenson Button. Even the race in 2012 was interrupted by heavy rain. Hopefully this year the weather will hold up for this action-packed battle of speed and power. The 5.43 km Sepang track is equipped with 15 turns and 8 straights with access speeds of more than 300km/h. The design of the track is in fact a marvel in itself, as it features an unusually wide and long start-finish which lies in direct view of the 1.3 km long, two-tiered Main Grandstand. From an elevated view-point, fans seated here are afforded a bird’s eye view of the usually thrilling last 45 seconds or so of the race. The track also offers various opportunities for overtaking that make for a thrilling and exciting race each time. The 2013 race celebrates the 15th edition of the Malaysian Grand Prix and the race is set to feature eleven teams and twenty-two drivers, including the Red Bull Racing Team which will be defending its Constructors’ title this year and superstar driver Sebastian Vettel who is pursuing his fourth world-drivers’ crown. For the 2013 race, sponsors Petronas, along with event organizers, the Sepang International Circuit have launched a special 'One Ticket Unlimited' (1TU) package to provide fans with a host of additional privileges associated with the event. legendary 90s rock band Guns N’ Roses, famous for classic rock anthems like November Rain, Sweet Child of Mine and Welcome to the Jungle amongst others. Other benefits of the ITU package include additional discounts for the month long F1Malaysia GP Sale 2013, along with deals for premium packages for transportation and food and beverages at the event and after. The package will also offer fans a chance to purchase exclusive merchandise commemorating the 15th anniversary of the Malaysia Grand Prix at discounted prices. Fan of F1 racing? the F1 2013 Petronas Malaysian Grand Prix, is one event you really can’t afford to miss.